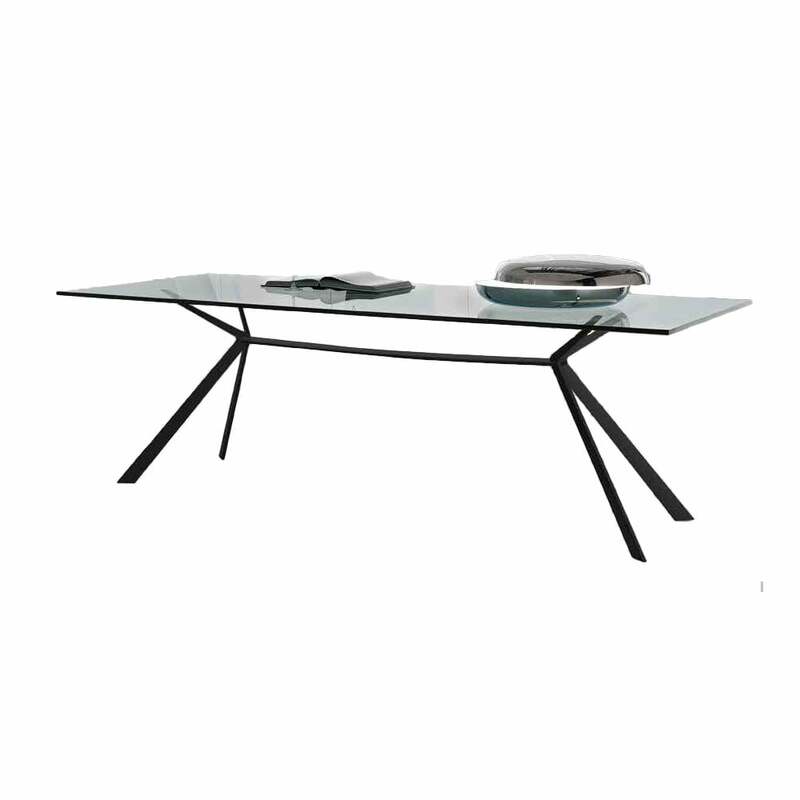 Chrome-plated or painted steel base. Top in glass 15 mm. thick or in painted MDF. Tempered or extra light glass available at a surcharge.